once upon a time david and i celebrated our one-year anniversary (and david’s only break from school, and the end of summer) with a trip to the northwest. we thought about going to europe, in our original plan, but tickets never seemed to be less than $1,800 for anywhere on that continent, so we decided to explore our own country’s backyard. our first stop was seattle, followed by portland, a jaunt down the oregon coast and then a night of camping at crater lake. 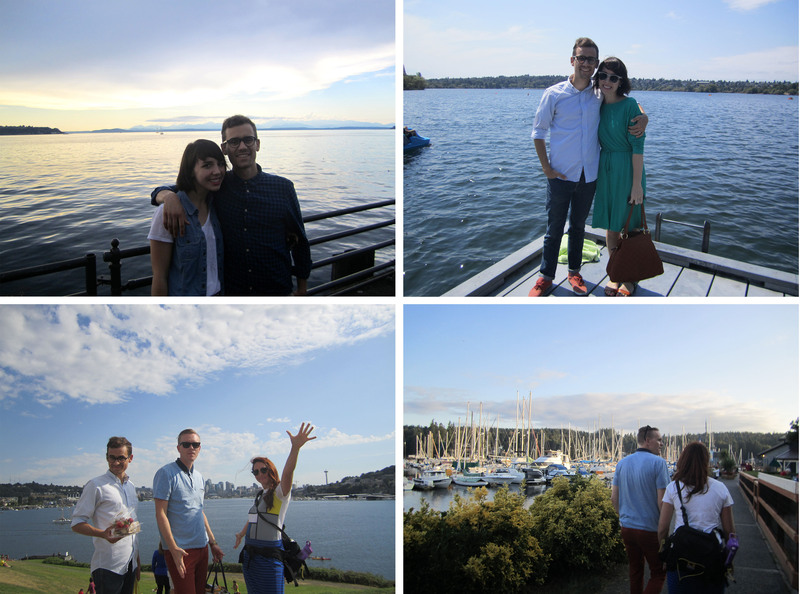 our friends chris and tessa linford joined us for the seattle portion, and we had a grand ol’ time. 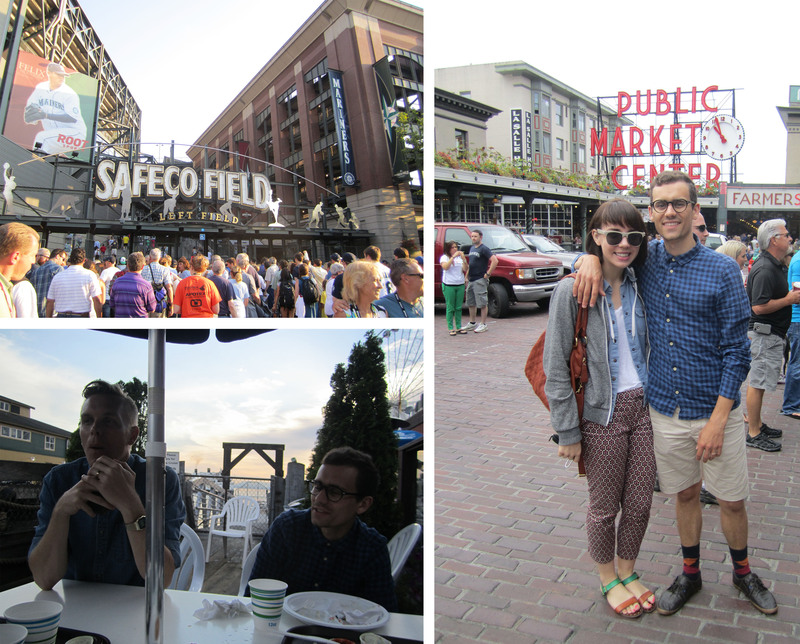 i’d never been to seattle, so we visited all of the typical sites: safeco field for a mariners game, food tasting at public market, seafood on the pier, the gum wall and the seattle art museum. 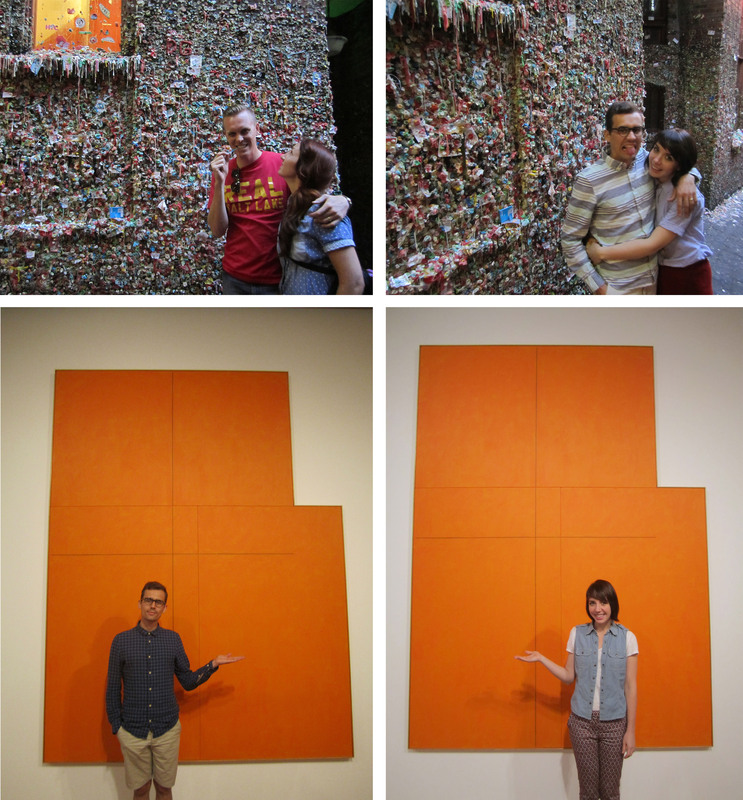 at the art museum, we found some art that (coincidentally) resembled utah. 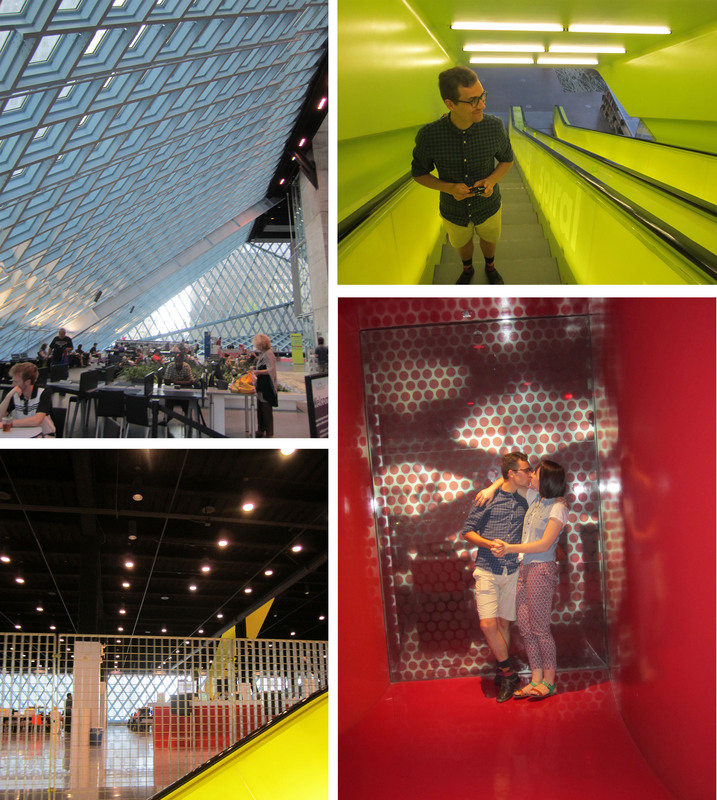 i thought salt lake city has a cool library – but seattle’s library blew it out of the water! the architecture, interior decor and general vibe was pretty great. and there weren’t homeless people all over the place. we explored and took pictures, but if we ever moved to seattle, id be reading books there every week. everywhere we went in seattle, there was water, water, all around. we visited the pier, green lake park (where we rented a paddle boat), gas works park and took a ferry to bainbridge island. seattle is much bigger and a little dirtier than i imagined – it reminded me of san francisco with the water, seafood, islands, etc. i dont know if it’s my next dream homeland but id loved visiting and seein what the place had to offer. and compared to SLC, it was sooo breeeezy and pleasant! stay tuned for posts on our other trip adventures. This entry was posted in getaways and tagged anniversary, getaways, seattle. Bookmark the permalink.